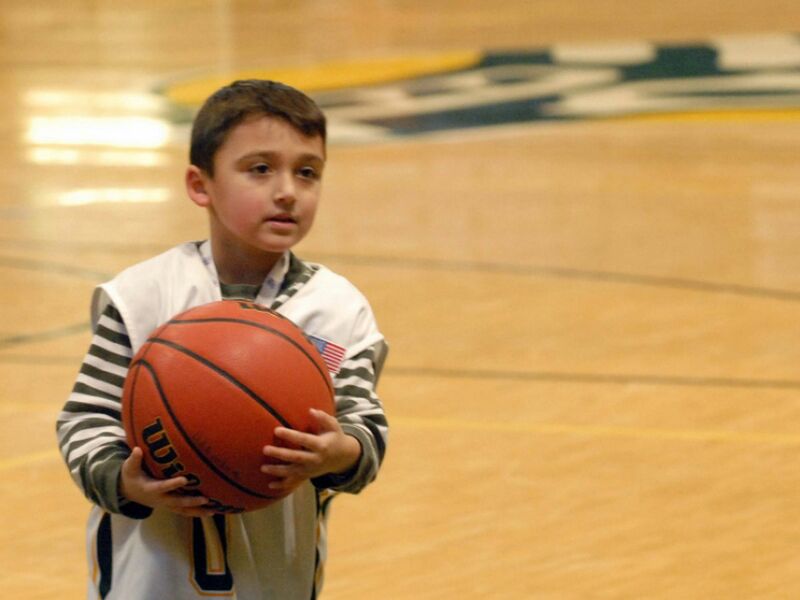 The newest — and smallest — Seawolf is bringing plenty of energy to the UAA men's basketball team. After signing with the squad at a Wednesday ceremony, Eagle River's James Ludwig was asked if he's looking forward to being a part of the UAA men's basketball program. "Yeah," he said before grabbing the microphone and mugging for a crowd of reporters and UAA players. "I think that's an excited yes," chimed in Seawolves head coach Rusty Osborne. The signing at the Alaska Airlines Center was an unusual affair — after all, the Seawolves don't usually sign new players in October. They don't usually sign 5-year-olds, either. Ludwig suffers from epilepsy and has behavioral issues, and the special ceremony was the result of a partnership between UAA and Team Impact, a nationwide nonprofit that connects children with serious, chronic illnesses with college athletic teams. For the next two years, James will participate in team practices, go to games and join players at team functions. His mom, Michelle Ludwig, believes the partnership will help her son and her family in several ways. "Being a special-needs family, you're a little isolated," said Ludwig, who attended the ceremony with her two other children, Lilly and Nathan, and the family's service dog, Blitzen. "We're really looking forward to being involved with this community," she said. Following the signing ceremony, James and his siblings hit the court at the Alaska Airlines Center, where he dribbled a basketball while wearing a new green-and-white jersey and a giant smile. "He loves sports," his mom said. Osborne said he hopes James will be a part of the men's basketball program for years to come. "We're looking for this relationship with James to continue past the two years through the rest of his life and with his family also," he said. Michelle Ludwig said the team's willingness to embrace James has already made an impact on the family. "It gives me hope," she said. Email Star editor Matt Tunseth at editor@alaskastar.com.